Building of an efficient, informative and creative landing page is essential nowadays for any company from any business sphere, no matter what services your website provides. Is it a marketplace or a CRM? Is it a platform for currency trading, a website for real estate search, or maybe an online game? It does not matter. Your customers need to know who you are and why they should choose you instead of your competitors. We have been developing diverse projects for almost nine years, and a large part of our work has been devoted to the development of landing pages. Each project is unique and different, each has some specific features. But we can name a few key elements which should be considered while working on any landing page. 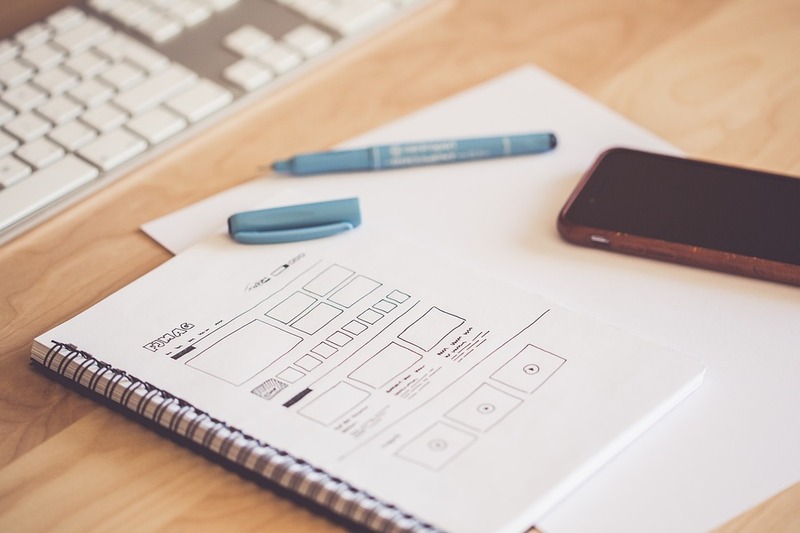 The whole design concept should be closely connected to the area of your service and should perfectly represent your company and its philosophy. It is extremely important. You should pay special attention to this. You can read more about the importance of design in one of our previous articles. Your client should be able to learn about who you are and what you do. Moreover, he/she cannot waste any second of their precious time. So, all the necessary information should be formulated in short phrases and be showcased as conveniently for fast understanding as possible. Nobody will read dozens of sentences about how successful your company is. Instead, one short motto will be great, or a few phrases visually formed as buttons (actually, you can provide the user with an opportunity to get more info by clicking them if needed), or a short list can also be a good option. Think of the problems solved by your company and list your solutions. After everyone has learned all the necessary information about you, he/she should understand how the whole process is organised. Once again, you cannot waste the time of your customer. Think about the process and show it in the form of steps or stages. Infographics would be just perfect. The next step should be proving to your customers your superiority over other similar companies. Think about your advantages and formulate them. These advantages should not be just imaginary, they should be real and you must believe in them and ensure they are in place. Otherwise, it will never work. Of course, only a few companies occupy leading positions on the market. But still, others have their own distinguishing features. If you are a small company, maybe you can provide an individual approach, specific processes of communication with a warm atmosphere, some personal unique bonuses. If you are a huge corporation, certainly, your advantages are globalization, considerable experience, reputation, and others. The more unique advantages you find, the better impression you will make. And again, all this information should be shown concisely and clearly, and visually, if possible. Your achievements. How many users currently use your service? Are you global? How many countries do you work with? How many sales does your online shop make per day? How many visitors does your website have per hour? And many-many other things. Think about them, gather them. Provide them in numbers, visually. Customer reviews are one of the best proofs of your reliability. Include a few quotes on your landing page and you will surely benefit from it. You can do even more! Some companies nowadays gather audio or video reviews. For sure, those make a really strong impression. 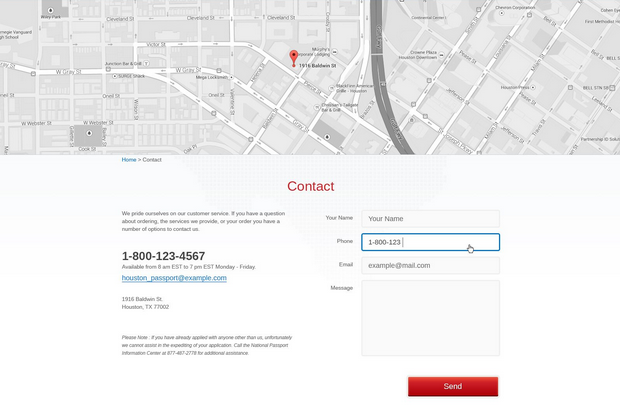 Help your clients to find you on a map. A simple form for quick contact would be good here too. Use friendly invitation phrases, promise your customers a cup of delicious coffee. Show your accessibility and openness. Show your team. You may use photos of your team members and make up some creative descriptions. Also you may provide their contacts. This will help you to get users’ loyalty and trust. Corporate video would be just great too. Call to actions is a simple thing which helps to coordinate the user’s activity on your website. Without a CTA the user will feel confused and may just abandon your website without any result. It gives the user all the necessary information very quickly, without wasting their time. The user does not have to visit additional pages and click extra buttons. You may formulate all the most important messages to your customer and he/she will get them all in a few seconds. It can be built very quickly (even on the basis of one of the CMSs). The development process can take even 5-7 days. It is usually affordable. The price can start from $500. All the screenshots used in this article are taken from websites built by our [bvblogic] company. 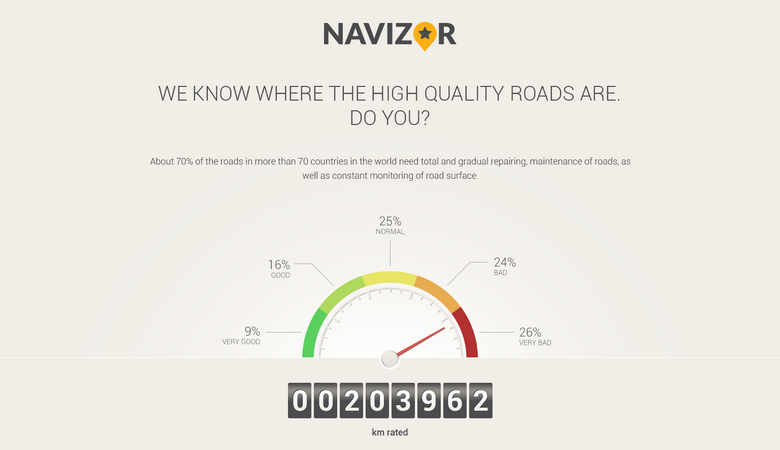 Here is the landing page of our startup Navizor. And below you can find the examples of the whole landing pages which we have developed. Learn more about our creativity here. If you like our ideas and our approaches to work, do not hesitate, contact us and get a free consultation. We would be happy to discuss your ideas!